Starting a business can be the most rewarding thing you can do in your professional life. It can also be the biggest nightmare you’ve ever lived through. Having written 500 killer business plans, we know that they are both an education and a document. We wrote this book to give entrepreneurs the tools they need to truly understand what they are getting into. Part 1 – What Business Should I Choose? discusses the ways you can get into business, the traits of successful business people and tips for how to choose a business and visualize your selection. Part 2 – How Much Will My Business Make? explains the various corporate structures available to you and how they work, a set of feasibility models you can use to roughly calculate how much your business could make and a discussion of non-profits and grants. Using this approach, your business idea will be in your bones. You will know where you’re going without thinking about it. How much more confidence will you have? How much easier will it be to deal with changes as they occur? A Killer Business Plan will reduce your risk and eliminate mistakes. You know you want to get in business for yourself. 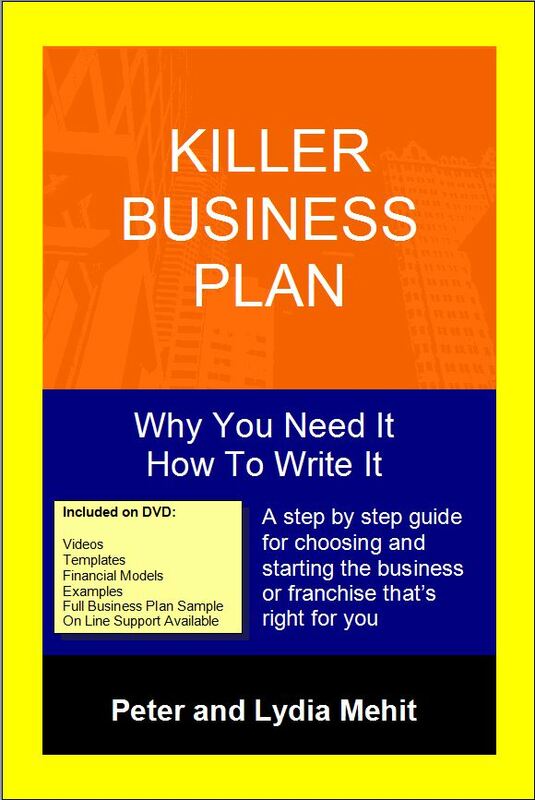 Killer Business Plan is the perfect first step in creating a successful company. Order your copy today! Not convinced? Read a sample chapter here. Not quite ready yet? Fill in your contact information and be included for valuable information and special offers.